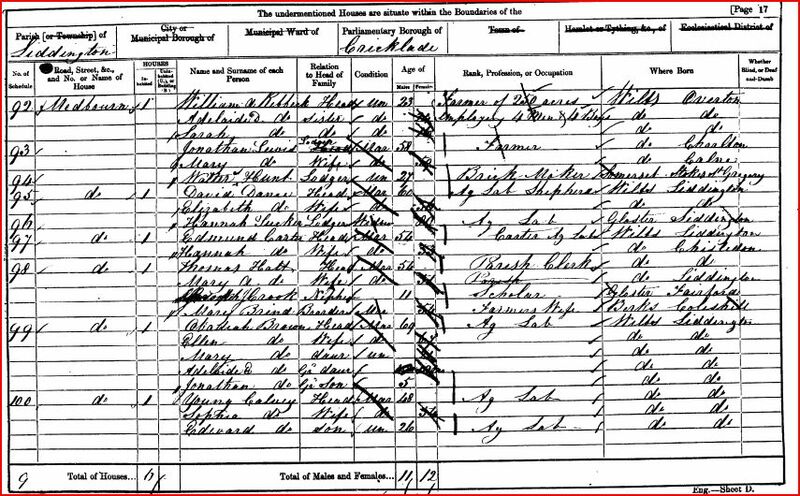 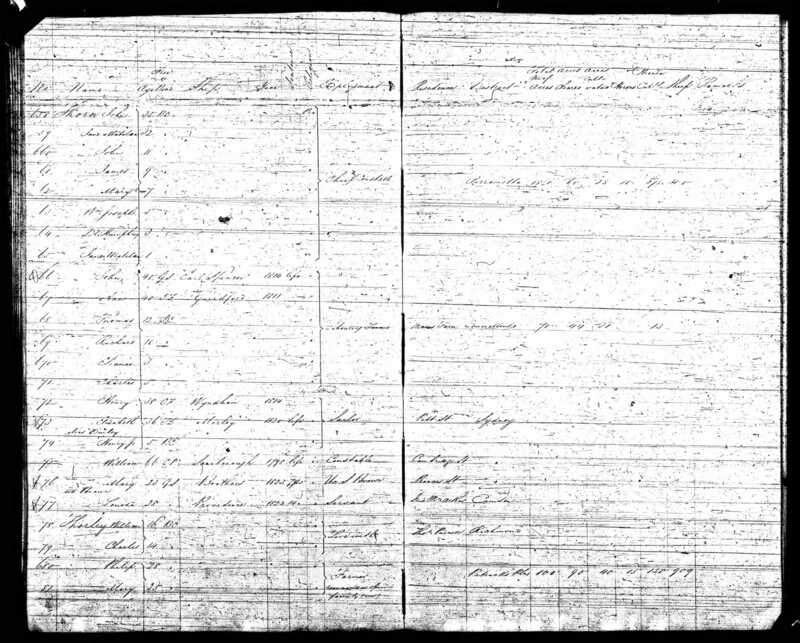 1851 Census of England and Wales Transcription - Lydia McKeer (n. Hole) and Family. 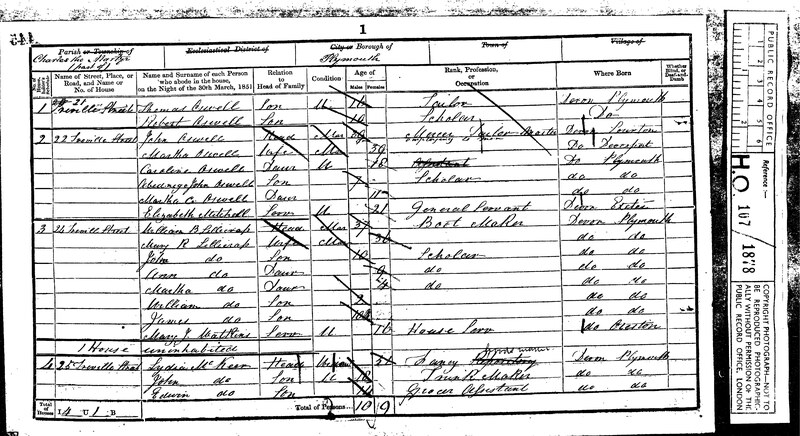 Lydia McKeer and children John and Edwin and grand daughters Celia and Florence Knight. 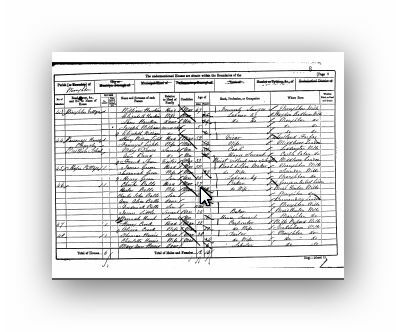 David and Elizabeth Dance were residing at Milbourne, Wiltshire, England at the time of the Census. 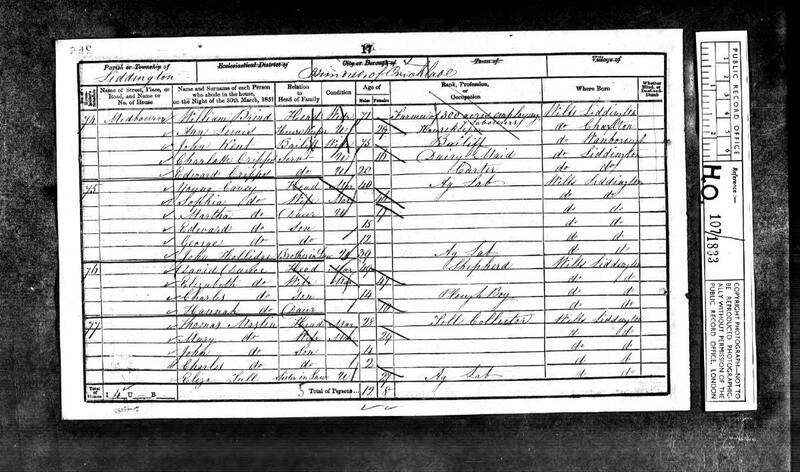 1851 Census of England, Wales & Scotland - Mary Waite. 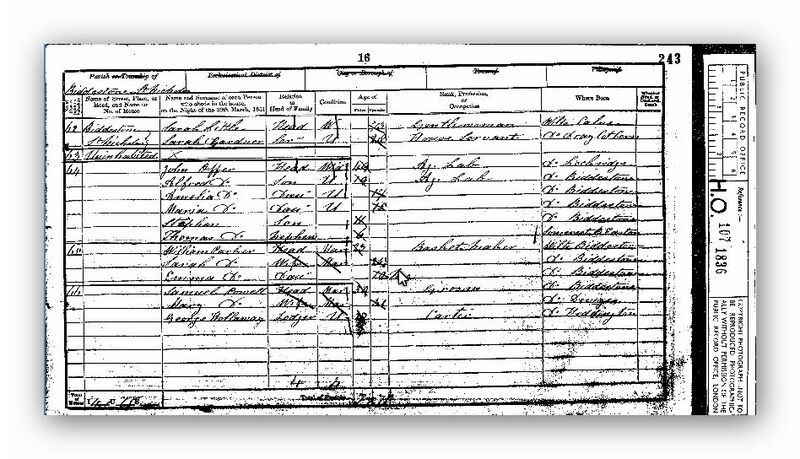 on 30 Mar 1851, Census Night, Mary was employed and residing at Lower Town, Wanborough, Wiltshire, England, residence of James May, Farmer. 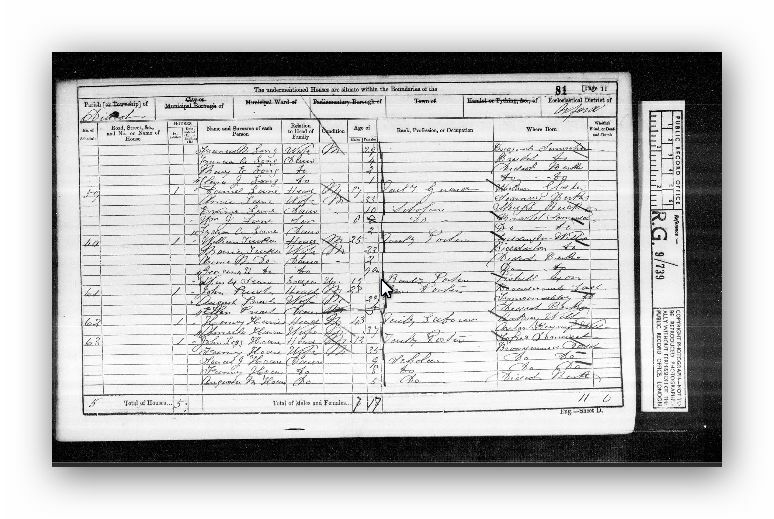 On the day of the census it shows Hannah Tucker and her son Jonathan in number 82 Liddingtonwick and Edmund Tucker (Hannah's son), his wife Rebecca and children William, Martha, Rosehannah and John living next door in number 83 Liddingtonwick. 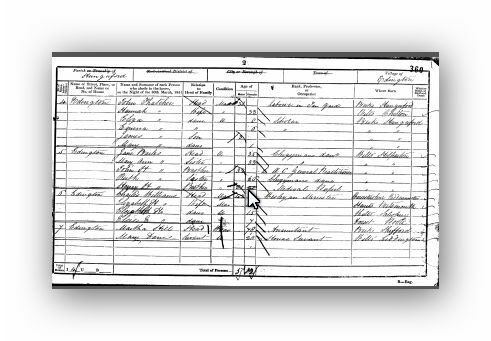 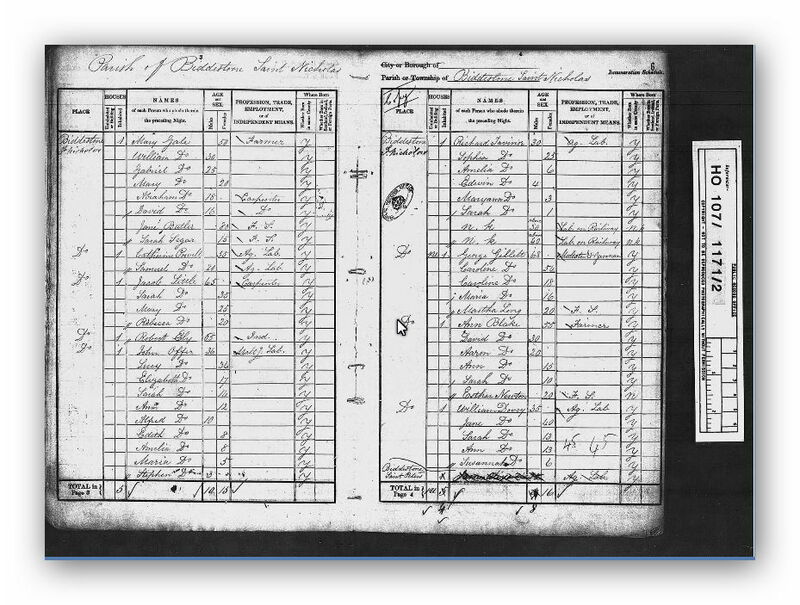 Status: Located; 1861 Census showing Edmund Tucker, Rebecca Tucker and John Tucker. 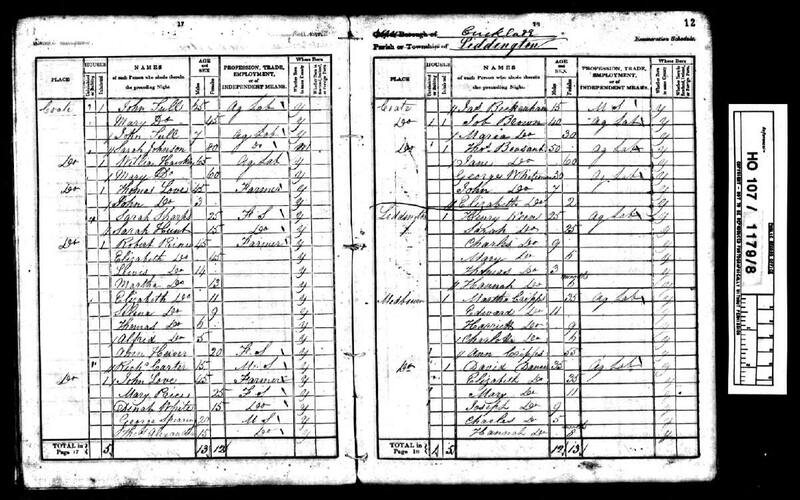 On the night of 7 April 1861, Census night, Charles and Matilda Waite (n. Crane) were residing at Wick Lane, Liddington, Wiltshire, England.